Oils are fast becoming a beauty essential for all skin types – don’t be afraid to use an oil if you have oily or troubled skin as the right one can actually help to stabilise the skin’s lipid barrier. And when an oil is predominantly natural with no SLS, parabens or silicone, organically certified and smells like heaven on earth it’s definitely going to catch my attention. 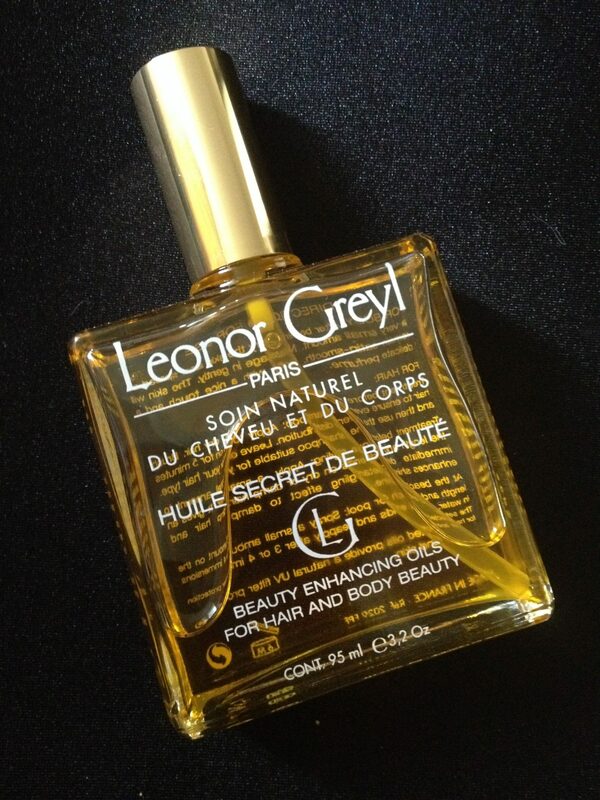 Which is why when I first came into contact with Leonor Greyl Huile Secret de Beaute (£40.73), it was love at first sniff! If you are familiar with Nuxe’s cult Huile Prodigieuse you will adore this. First off the scent is totally uplifting and transports you to sun-soaked, exotic destinations; it’s the lemongrass, tiare flower and yucca you’ve got to thank for that. The oil itself has a watery consistency and can be used on the body or the hair; I’ve tried it on my skin and it sinks in immediately, leaving you subtly fragranced with That Scent. You don’t need to use much and there’s no greasy residue, just beautifully soft, pampered skin. Have rubbed it into my cuticles too, it makes a great nail oil. My hair is a bit flyaway at the moment so I’m also planning to use it to calm my strands down. Like the idea of having That Scent in my hair too, to be honest, who wouldn’t? Leonor Greyl Huile Secret de Beaute is available from Selfridges, Harrods pharmacy, www.thisisbeautymart.com and www.net-a-porter.com.